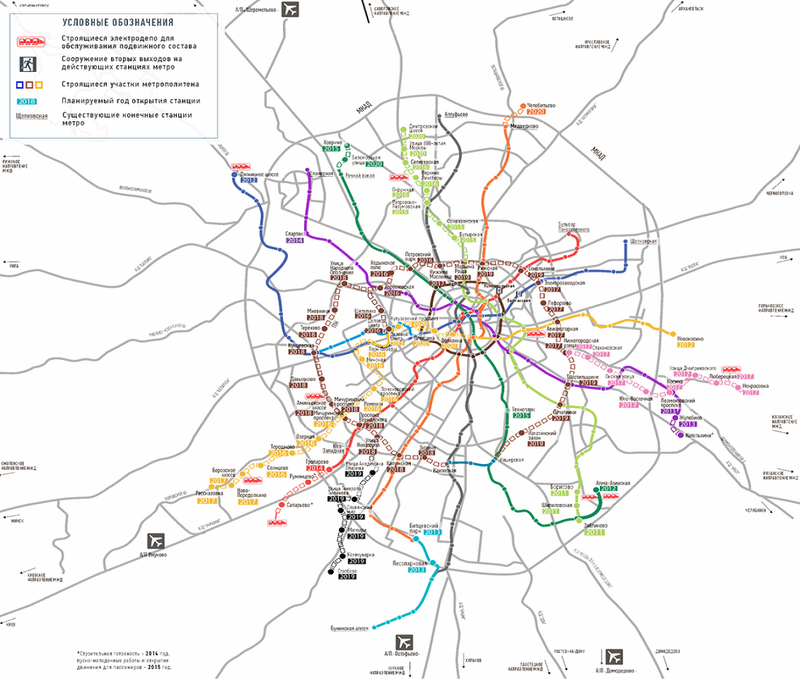 The map of «Metro 2020» has been published. It marks stations, built in recent years, stations that are currently under construction and metro lines, which are scheduled to open in 2020. 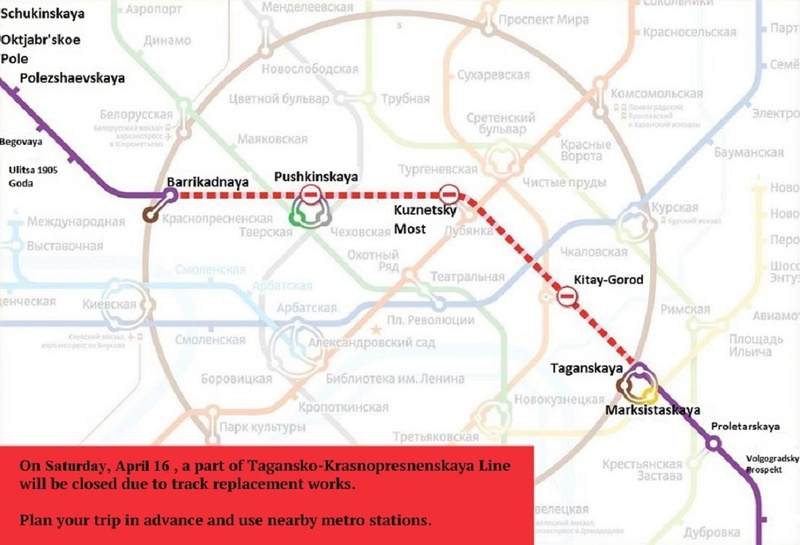 Presently, Moscow is building 30 metro stations. Some of them will be opened in 2015, others – in the next two years. 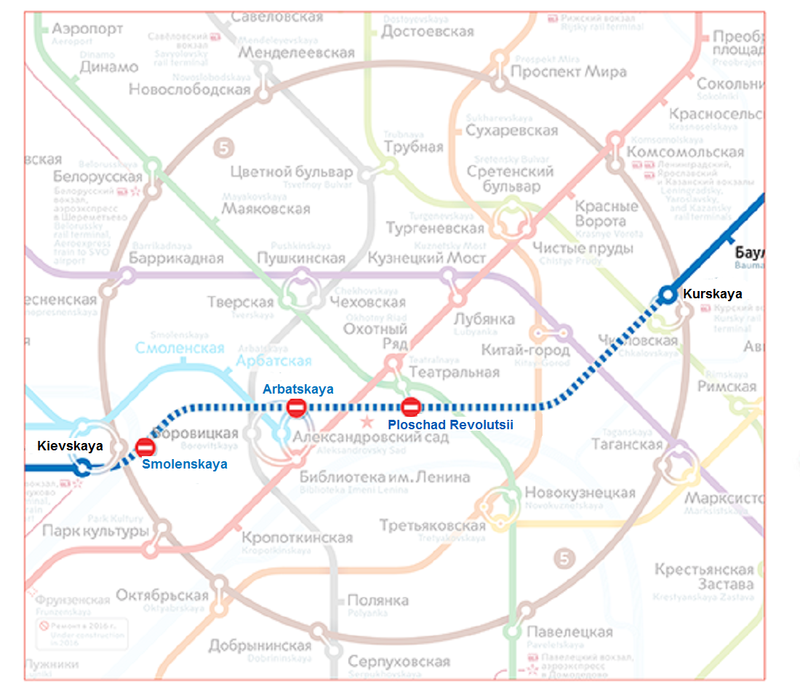 It is planned that about 93% of Muscovites will live within walking distance of subway stations by 2020. 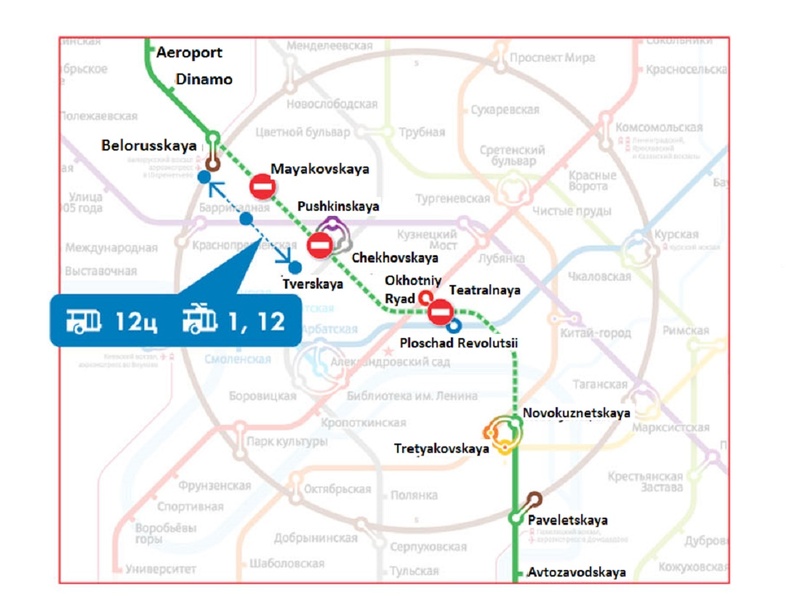 Three new stations opened in 2014: at the beginning of the year – Delovoy Center (blue line); in August – Spartacovskaya (violet line); and earlier this month – Troparevo (red line).